Obv/ MAX.II.RO.I.S.AV.G.HV.B.R; Curved, pointed fourfold Hungarian coat of arms: Hungarian Árpád stripes, Hungarian double cross, Dalmatian leopard heads, Bohemian lion; on the center chest shield: Austrian bonds. Date 1576 above. 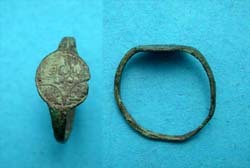 Rev/ PATRONA * VNGARIE; Crowned Madonna seated with Christ Child on her right arm, Mintmark K-B to either side = Kremnitz Mint. Seller’s Note/ the obverse legend = Maximillianus II Romanorum Imperator Semper Augustus Germaniae Hungariae Bohemiae Rex or Maximillian II, Elected Emperor of the Romans, forever Monarch, King of Germany, Hungary, Bohemia. 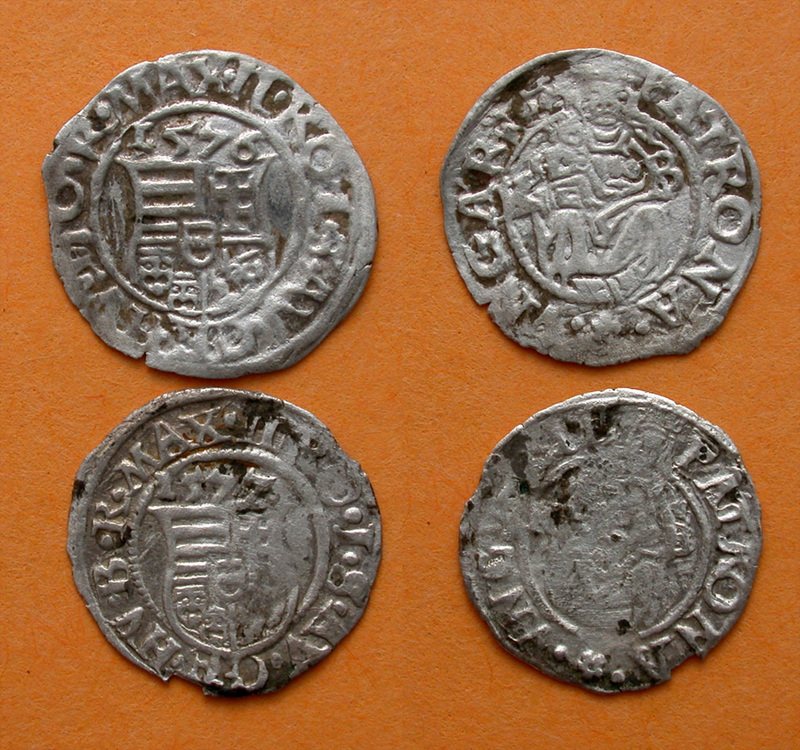 You will receive two of the coins, the other dated 1577. Great deal and a low price for both!